← Sick & in bed…in Dublin?! In my weeks in London, along with my courses and internships, I have made it a point to visit as many museums as possible. In the past weeks I have visited over 16 different museums (sometimes more than once)! My internship at the Foundling Museum has given me insight about the internal workings of museums in general, which for me has been great. Being able to visit so many museums of varying size and subject, with a more detailed understanding of how they generally work has made me appreciate them more. 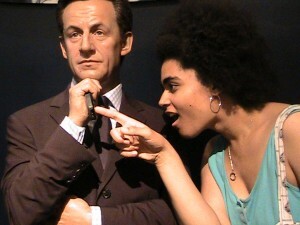 One museum that was particularly fun for me to visit, was Madame Tussauds! Growing up in Las Vegas I have made several visits to the one located on the strip, but I was really interested in this, original, Madame Tussauds because of the number of historical likenesses it had. 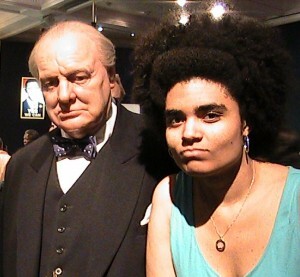 The Las Vegas Madame Tussauds is mostly filled with modern celebrities, so, history nerd that I am, I was most looking forward to the historical figures featured in the London Museum. Madame Tussauds came from France to England in 1802, already possessing a reputation for excellent wax models. 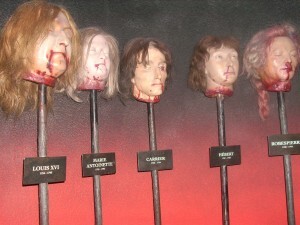 (During the French Revolution she did wax death masks of many prominent prisoners who were executed.) At first she traveled around Britain with her figures, but she eventually settled down in London in 1836. 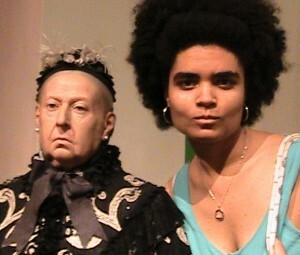 She and subsequent proprietors of the museum have continued to add to their collection using the images of famous faces of the time (through live modelling, not decapitation). At any rate, seeing the height, size, and shape a of a person does make it easier to understand them. For the historical ones it makes you keenly aware of their humanity. In fact this was a person, not just a name in a book, and this is how tall she was, this is how he smiled, and these are the kinds of clothes they wore. Even for the modern celebrity types, it does make you more aware of them as individuals, not just people in films or on tv. 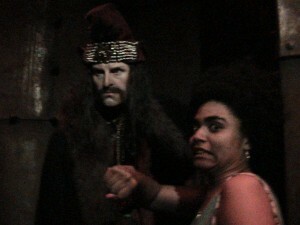 And most importantly and resulting in tons of fun, you take get you’re picture with them! Consequentially, I have many, many, MANY photographs from this visit. So, to give you a taste of my visit, we are going to play NAME THAT FIGURE! Well this one is a bit obvious in that the heads are missing their bodies! These are some remodels of Madame Tussauds early work, victims of the French Revolution. The figures to the extreme left are Marie Antoinette and her husband Louis. Here is a more modern one. Seen him in the news? You’ve got it Isaac Newton! Bet you got it! 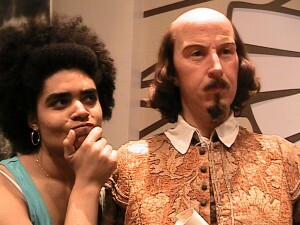 It is William Shakespeare! You know that face! Winston Churchill! No actual prizes for this game, but you can all walk away with genuine Madame Tussauds street cred! Well done, and thanks for playing NAME THAT FIGURE!